When your business or commercial property needs high-quality outdoor lighting for aesthetic or security purposes, Enhanced Outdoor Lighting and Design is here to help. Our team of lighting experts provides commercial lighting services to property owners in the San Antonio and Austin areas. From pool lights to security lights, our outdoor lighting professionals can design the ideal lighting plan for your commercial property. 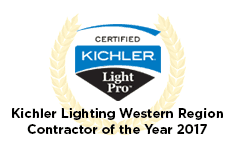 We are a family-owned business that has built a reputation as the most trusted outdoor lighting company in the San Antonio and Austin areas. Outdoor lighting is an important visual and safety element for commercial buildings. Having lights that add visual interest while also offering improved safety and security can go a long way toward enhancing your commercial building. At Enhanced Outdoor Lighting and Design, our team provides several outdoor lighting services for commercial buildings in Austin and San Antonio. You can depend on our team to design and install the perfect lighting for your property. The right lighting can highlight the most striking landscape features on your commercial property. Whether you have an elaborate flower garden or decorative trees, putting in commercial landscape lighting can accentuate these features and add to your property’s visual appeal. Enhanced Outdoor Lighting and Design provides landscape lighting design and installation services for commercial property owners in the Austin and San Antonio areas. Our team has the expertise to ensure that you end up with the best landscape lighting design for your property and that it’s installed correctly. Having the right lighting for your commercial pool can improve its appearance while also providing swimmers with increased safety – especially when it’s dark out. At Enhanced Outdoor Lighting and Design, we offer exterior lighting for apartment pools, hotel pools, and resort pools. Our experts can help you come up with the perfect lighting for outdoor and indoor pools on your commercial property. Water features add beauty to any commercial property, especially when they have lighting that enhances their appearance and draws attention to them. When you have water features on your property, such as fountains or waterfalls, the team of lighting experts at Enhanced Outdoor Lighting and Design can help you accentuate them. Adding creative lighting to your water features can improve the appearance of your commercial property overall. LED lighting for commercial properties provides property owners with a more efficient way to keep building exteriors well-lit. When you rely on outdoor lighting to either enhance your property or provide added safety, LED lights are a wise investment. At Enhanced Outdoor Lighting and Design, we provide commercial LED lights with a 40,000-hour lamp life or a 15-year warranty. When you switch to LED lights or have LED lighting added to your property, you can expect to have high-quality lights that last for many years and use less energy. Our experts in Austin and San Antonio can help you choose the ideal LED lighting for your property and then install it with expert precision. When you own a commercial building, it’s important to make sure that it stays secure at night. Adding security lights to your building’s exterior provides your property with enhanced safety by deterring intruders. This type of lighting also reduces the risk of falls and other accidents when tenants or visitors are walking around at night. Enhanced Outdoor Lighting and Design offers quality security lighting for commercial buildings in the San Antonio and Austin areas. When you need to invest in security lights for your property, you can rely on our lighting professionals for help. Making sure that pathways on your commercial property are well-lit helps keep tenants, customers, and visitors safe. Outdoor lighting near pathways can also create ambiance, giving these areas some decorative flair. 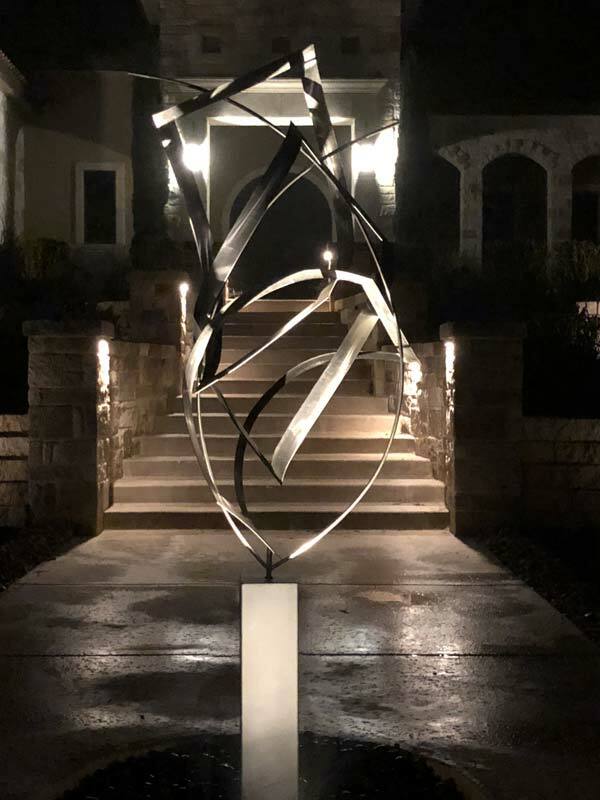 Whether you are interested in pathway lights for security reasons or aesthetic purposes, you can rely on the experts at Enhanced Outdoor Lighting and Design. With assistance from our professional lighting experts, you can have pathways that are lined with ornate yet highly durable lights. We look forward to helping you select the right outdoor pathway lighting for your commercial property. If you’re ready to get commercial lighting installed on your property in Austin or San Antonio, please contact Enhanced Outdoor Lighting and Design. Call us at 512-359-0071 in the Austin area or 210-585-7909 in the San Antonio area for a free quote and to get more information on our services.